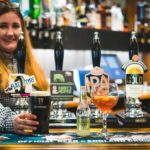 To open a community pub which offers much more than a pub, becoming a space for community activities and services which promote social cohesion and citizenship. Not only is the pub a place where local people can relax and socialise, the cafe offers opportunities to gain computer skills, attend coffee mornings, memory groups and hold community events. 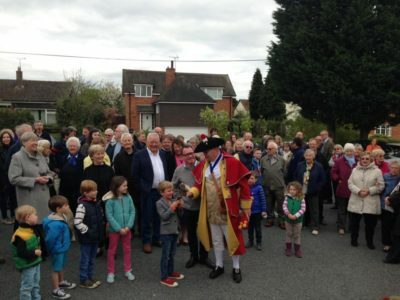 The More than a Pub programme and funding helped Warwick District Council to recognise the community value of the New Inn and contribute a grant of £38,500. Norton Lindsey has few public transport links so access to services is an issue especially for older residents. 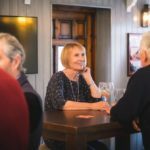 Therefore having a pub locally, helps to maintain independence and reduce social isolation. The New Inn has been in Norton Lindsey since 1750. Threatened by private housing, it closed in July 2016 and was put up for sale by Enterprise Inns. 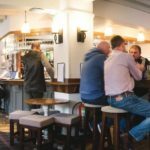 Thankfully, local residents listed the pub as an ‘Asset of Community Value’ and began a bid to take over the pub led by a local group called the ‘Salvation Squad’. Their vision was to make the New Inn a vibrant and enterprising focal point for everyone in the village. Norton Lindsey has virtually no public transport links and access to vital services is a concern for many elderly or vulnerable residents, at risk of loneliness and social isolation. So keeping the village pub was essential for the community. Power to Change recognised this, and invested a £2500 bursary grant alongside specialist advice and support, followed by a larger loan and grant package of £100,000. This was done as part of our More than a Pub Programme to help re-establish the pub as the heart of the community. The pub reopened in April 2017 with 228 residents clubbing together to purchase it. Today it is a pub and restaurant, with a café and shop. The café offers parents, children and the elderly a place to relax and meet friends. The café is also planning to run computer/internet sessions for those less tech-savvy, Macmillan Coffee mornings and monthly ‘memory café’ groups run by the local Alzheimer’s Society. The pubs will also provide an event space for live music and community events. Local people have volunteered regularly on tasks such as painting, gardening, and kitchen fitting, and the group are planning to commence work on a shop in early summer to include parcel collection/drop off service and dry cleaning. 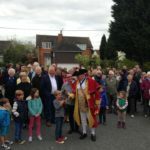 This project is already bringing about greater community cohesion, and achieving our goal has given the community a real sense of empowerment and pride. Once the Salvation Squad had listed their pub as an Asset of Community Value, they had only 20 weeks to raise the funds and submit their bid to take on the pub. The group had a building survey carried out, opened a bank account, wrote a business plan, negotiated the purchase, and registered for VAT. They have engaged in a broad campaign to generate support, using publicity including Saturday night TV, a mention in parliament, and they even recorded a song for Christmas. More Than a Pub provided action planning support; a funded Study Visit to the Anglers Rest (a successful community pub in Derbyshire); a bursary of £2,500, followed by a Power to Change grant of £50,000 and a Co-operative and Community Finance loan of £50,000. Warwick District Council also recognised the community value of the New Inn, and contributed a grant of £38,500.